that will lead hopefully to producing a new updated edition of a compendium and introduction of my work called #RekindlingOfFaithJourney. I am looking at an earlier version of my book Rekindling Of Faith. I am rereading the book this morning and reviewing the central themes. Originally, written in 1986, and then updated in 1995, the book had a foreword from friend and Author Paul Brenner, a pioneer in the hospice movement and a fellow witness on the journey of Breathing new life into Modern Medicine. What will Modern Medicine look like 20 years from now? In August 2017, after a number of months of health crisis, I was officially diagnosed with a Renal Cell Carcinoma, a form of kidney cancer. I began a natural #CancerCure Journey, based on my deepest belief, that nature is a Regenerative Force if we can cultivate our personal relationship with her. Forces are very much alive today that increasingly are guiding the pursuit of health in the direction of a pharmaceutical approach to ridding ourselves of pain. Advancements in surgeries are becoming more and more precise in exorcising what we name as our diseased states, yet let us not forget the Wisdom Teachers and Teachings that seek, as seeds growing through cement, to remind us to reap deeper meaning from what crosses our path. More and more we appear to know less and less about Nature’s Original Technology and the tremendous bank of wisdom that survived the centuries waiting for this moment for your birth. As much as more and more building materials are going into building more and more hospitals to content with increasing gaps in knowledge of self healing, impulses in the human spirit as well see your potential to become a Sacred Seed destined to play a role in creating/ recreating our world as an Enchanted Garden. “Plant a Seed, Grow a Whole New World” is an Enchanted Garden teaching. 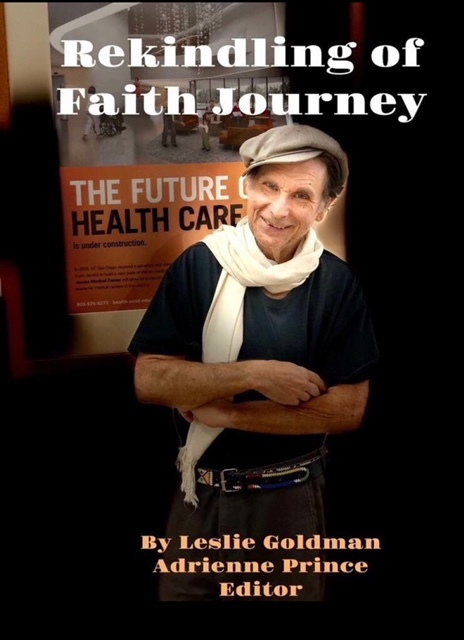 I hope this book and my personal experience sheds light on your healing journey as we, as a culture come to accept the gifts that Modern Medicine give us to outlive our lifestyle choices, many in conflict with nature. 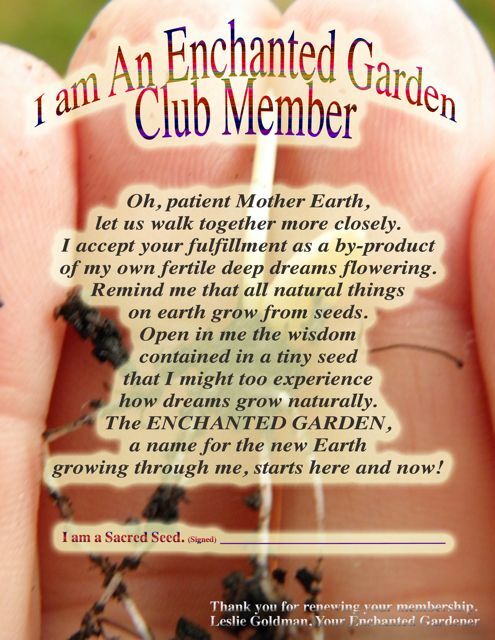 May we remember that truly we are being invited to reestablish ourselves as Members in The Enchanted Garden Club.